Located at the crossroads of the Upper Connecticut River Valley of New Hampshire and Vermont, the Lebanon Housing Authority is a public housing agency servicing the City of Lebanon, New Hampshire pursuant to State and Federal laws. LHA’s goal is to provide affordable, decent, safe and sanitary housing to income-eligible residents in the community. The LHA is overseen by a six-member Board of Commissioners and managed by professional staff. Funding is provided primarily from the U.S. Department of Housing and Urban Development (HUD) and revenues derived from rents and fees. For more information about HUD go on the web to www.hud.gov. For more information about Lebanon, New Hampshire go on the web to http://LebanonNH.gov. Lebanon Housing Authority seeks to support durable, sustainable, all-inclusive communities by providing equal housing opportunities within its portfolio of quality affordable housing that is decent, safe and sanitary within a suitable living environment for residents and their families. This includes the private housing it inspects as part of its Section 8 Housing Choice Voucher Program to ensure that all housing quality standards are being met and private landlords remain in contractual compliance. 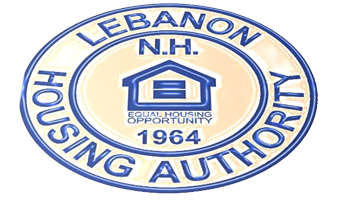 Lebanon Housing Authority strives to operate a socially and financially sound public housing agency (PHA) that is fiscally responsible, diligent and judicious. It provides examples to the community of energy efficiency improvements and continues to strive in the areas of energy conservation through creative collaboration with business partners and resident advisory boards. Lebanon Housing Authority supports and assists the welfare and social needs of residents so as to promote residents’ engagement within their housing communities; and foster a sense of accountability and awareness to their surroundings. In its service to the public as a whole, Lebanon Housing Authority is compassionate, responsive, respectful, resolutely fair and unbiased within the applicable rules and regulations that guide PHA’s. In addition, it is clear to this agency that resources are limited and to maintain programs and services we must be energy efficient, sustainable and economically viable. LHA 50th Anniversary Statement Click on the link to the left to read the complete statement.